As a fellow trader, you, like myself, might have a tendency to deep-dive focus on whatever is in front of you at the moment. This can be equally good and bad. For me, I have to work carefully. If I put the wrong task in front of myself, I’ll end up spending too much time focusing on something that isn’t the highest priority. This is why I have to minimize distractions during my trading day. Even having multiple windows open can create a distraction. I’ve found that I work best with one main window open in my primary screen. When I am writing an email, I’ll have my email application full screen in one window so that I can focus on getting the email written efficiently and without distraction. This allows me to work in less time and output the highest quality possible. Sometimes, though, finding a previously open window that you minimized is like trying to find something in your junk drawer. You know it’s in there somewhere, but somehow you find everything except what you want. Fortunately, I found this hidden shortcut for Windows 7. It saves me a ton of frustration when recalling and minimizing open application windows. 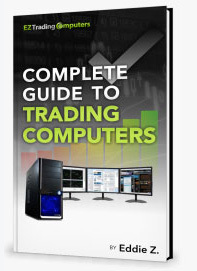 I use this shortcut daily on my own trading computer. In one step, you can minimize and hide all of your open windows – except for the one you want to work in right now. Just as easily, you can recall all of those open windows to the exact location that you had them before. Left click on the title bar of the window you would like to focus on. Hold down on the title bar while you left click. Next, shake the window by moving your mouse left to right as you are holding down the title bar with a left click. Each open window will now minimize into your tool bar except for the one you are left clicking. When you are ready to reopen the minimized windows, simply shake the same window again by repeating steps one thru three. That’s how you get a little more focus in your trading day. Just do the shake, so that only your current application is visible. When you’re ready, you can quickly restore all the background applications in one more shake.